There are numerous misconceptions about replacement windows, which skew the decision making process. As your loyal window contractors, we take great pride in separating factor from fiction, in order to present you with an unbiased transparent understanding of replacement windows, so that you can make a decision that suits your situation. In this post, we will discuss the top myths associated with window replacement projects. This is the biggest misconception homeowners have about window replacement. Installing windows is an acquired skill, fortified by years of practice, so the more experience an installer has, the better the result will be. Typically, several contractors will say that they can install windows, but the truth is, not everyone can do it properly. A window will only function properly if is properly installed. A poorly installed window can be leaky, drafty, and difficult to open and close, among other issues. Therefore, it is important to do your research and find the right installer to ensure the long-term performance of your new windows. Although wood windows once dominated the market, vinyl windows have improved over the years and provide superior performance in several key areas. For instance, wood tends to swell with moisture and is susceptible to rot and mold growth from dampness, while vinyl replacement windows are designed to be water-resistant, safe and strong. Additionally, vinyl windows don’t need regular maintenance like wood windows. This isn’t to say that wood windows are awful, however, they don’t perform as well, compared to vinyl replacement windows. Since New England winter weather can often be brutally cold, it’s hard to imagine having your windows replaced in January or February, right? 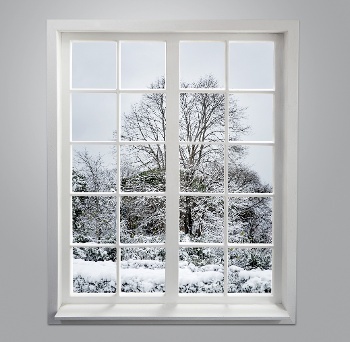 While it may be logical to assume that replacing windows in the winter opens your house to the elements, a ct replacement window contractor with the right skills will always take the necessary precautions to ensure that your home is protected from the elements. First, the window contractor will seal off the rooms where work will be done, closing the room off from the rest of the home in order to lessen temperature changes. Following this, the crew will use their knowledge to work quickly and efficiently, making sure that no debris is tracked in or out of the house. With the right crew, your home will only be exposed to the frigid air for a few minutes while the old window is replaced with a newer model. While it may not be ideal to replace windows in the winter, you can benefit from lower prices, since many contractors have less work during the cooler months. We’ve worked hard to educate our customers so they understand what factors into the cost of replacement windows. Still, many replacement window companies still boast amazing low prices on poor products to lure in customers. Of course, there isn’t anything inherently wrong with advertising a certain price, yet it can become a problem when the price point is unrealistic. For example, there are many companies who insist on $99 windows, yet when you consider manufacturing costs on the shipping expenses, it becomes quite clear that $99 per window is bait and switch. Always be sure to carefully read over the fine print on replacement window advertisements, especially when that replacement window as advertised at an ultra low cost. A window replacement project need not be a difficult undertaking; however, it pays to do your research before choosing a replacement window material or hiring a window installer. Learning more about the product as well as the process will help you find the windows that will best suit your home.